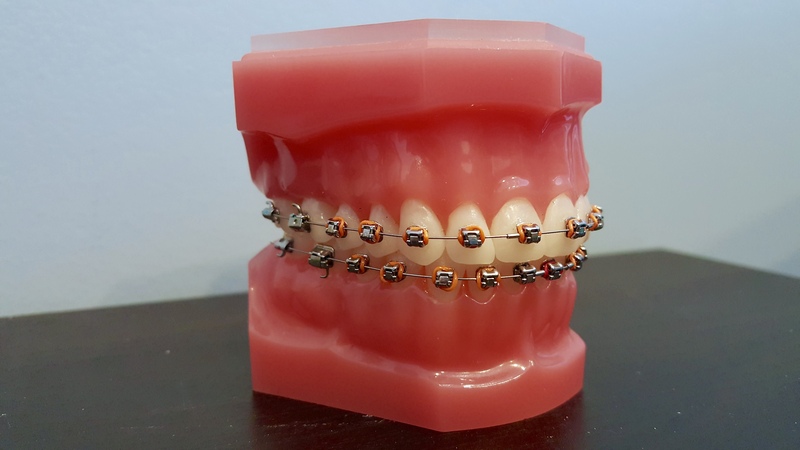 We want to offer you different treatment options best suited for your needs, and at Bethesda Dental Specialties, we offer various options for traditional braces. You are able to choose from clear braces, Damon brackets, and Incognito (lingual) braces. Braces are much more advanced and developed than they used to be, and patients are not in treatment for as long! All of the different braces systems that we offer move your teeth gently and accurately, resulting in a straight smile. All of the different treatment options for braces give you similar results, but work in varying ways. When you come in for your complimentary consultation, you can discuss with Dr. Hickory and our treatment coordinator to see what will work best for your individual needs. Clear braces can either be transparent, invisible, or ceramic colored. Many patients opt for this option as it allows you to complete orthodontic treatment without everyone knowing you are doing so. Ask us about Damon Clear or Inspire ICE see-through braces. Damon brackets are much less cumbersome than regular brackets due to their self-ligating system – their brackets use innovative technology that “snap” the wire in place rather than the usage of elastic ties or rubber bands. This allows for your teeth to move without the uncomfortable tightening from traditional brackets. Less friction = faster movement of your teeth! Incognito braces are attached to the lingual side, or inside, of your teeth, resulting in orthodontics that are never seen! No one will know that you are undergoing treatment, so you can smile with confidence.